Natural Bridge Loop pulls off nature’s most spectacular disappearing act. You won’t believe your eyes as the Rogue River vanishes into an ancient lava tube. The water runs underground through a 250-foot lava tube, and creates a land bridge before resurfacing. The Rogue River jumps to life at Natural Bridge, where you can hear, smell and feel the water as it bubbles, bends and snakes through the landscape. You are immersed in nature and fall scenery when you visit Natural Bridge Loop, encased in the mighty and welcoming embrace of ancient, towering trees, rushing water and natural masterpieces at every turn. Natural Bridge Loop has some of the best hiking in Southern Oregon, and accommodates all ages and skill levels. 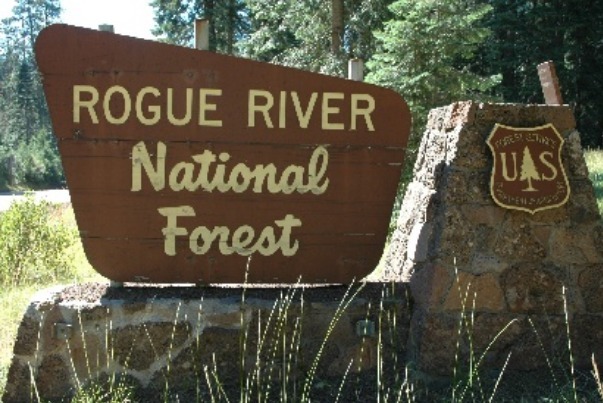 The 2-mil e trail starts at the Natural Bridge Viewpoint parking lot, and goes upriver on the Rogue River’s east side. 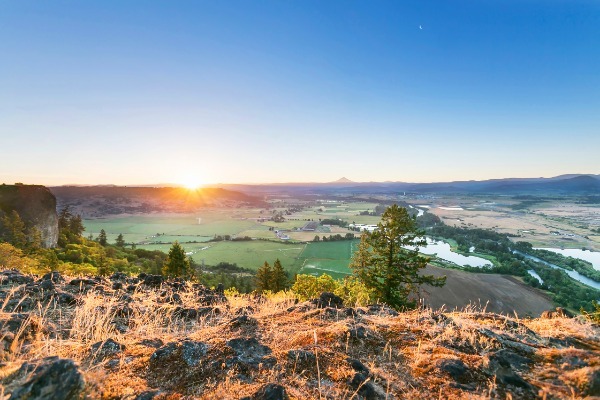 The trail has unparalleled views of the river and old-growth forests. And for the curious explorer, the trail has several species of birds, plants and trees which you could spot along the trail. And as every local knows, no trip to Natural Bridge Loop is complete without pie! Beckie’s Cafe in Prospect serves up breakfast, lunch, dinner and sweet treats 365 days a year. Whether you nosh on a hearty omelet before hiking, or a juicy burger after hitting the trails, you must eat at the cafe before calling it a day. 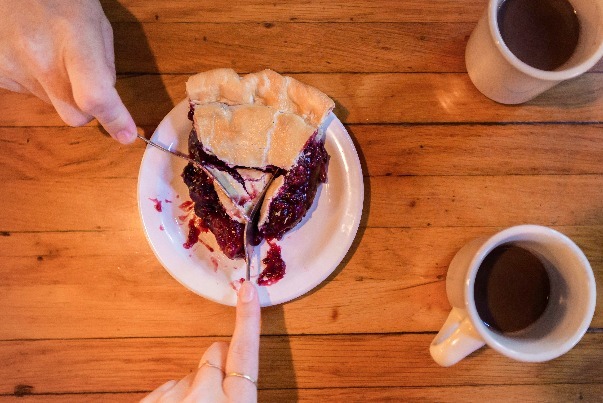 Homemade pies are baked every day, and there’s no better incentive to finish the Natural Bridge Loop trail than an ooey, gooey, warm and flaky slice of freshly baked pie. If you’re hungry for adventure — or a great meal — do as the locals do. 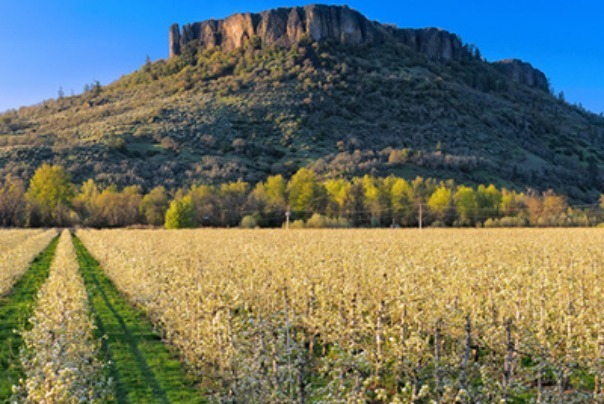 Hiking Natural Bridge Loop and eating a comforting meal at Beckie’s Cafe is one of Southern Oregon’s many fabulous autumn day trips. 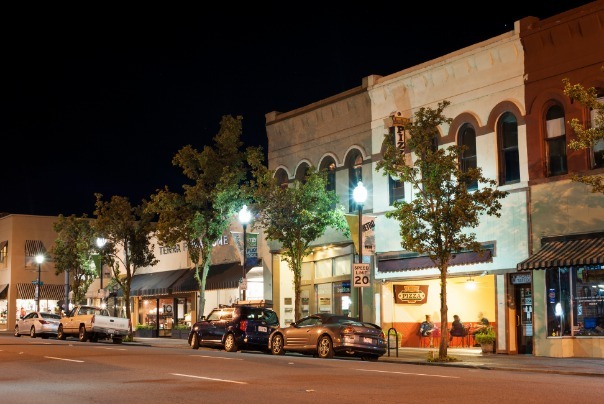 For more ideas of what to do in Medford and Southern Oregon, visit the Travel Medford website, where your adventure continues!